Call 517-507-3219 to schedule your first appointment. At the Miracle-Ear® hearing aid center in Brighton, you'll get a full-service provider with a brand name you can trust. We have over 1300 locations nationwide, and each location is independently owned and operated. Our experienced hearing care specialists will give you the individual attention you deserve to match you with the right hearing aid for your needs. Come see what a difference we can make in your life. When it comes to hearing aids, we’ve got you covered. Let us know when you need a little help hearing, and we’ll be able to point you in the right direction. Some of our products come equipped with Bluetooth® connectivity, which allows you to easily sync your hearing aid with your phone, radio, or TV. Our state-of-the-art GENIUS™ Technology will automatically adapt to your environment, providing you with the most natural hearing possible. We'll perform a free hearing test* before assisting you with choosing the appropriate hearing aid. With a hearing aid from us, you’ll be able to better understand conversations and gain back your confidence. Discover and experience the Miracle-Ear® advantage for yourself. If you’re looking for hearing aids in Brighton, MI, you can't go wrong with Miracle-Ear. Experiencing hearing loss can be scary, but we can help. 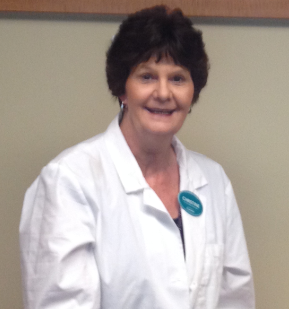 Let our caring hearing care specialists walk you through every step of the way. When you find the right hearing aid for you, you’ll get a 30-day, risk-free trial**. Call today to schedule an appointment. 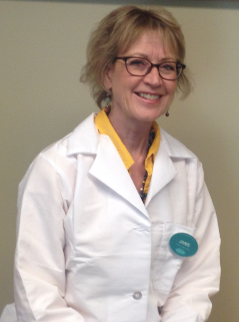 Hi, my name is Janis Kenny, owner of Miracle-Ear in Brighton, Michigan. I've been a consultant for 10 years. I am proud that our office maintains the highest level of personal care and quality of products to our patients. My office is also a sponsor of the Miracle-Ear Foundation. The Foundation helps those in financial need with new hearing aids. We make a donation for every hearing aid that is sold. My name is Christine. I have been working for Miracle-Ear as a Front Office Assistant for 11 years. In the 11 years that I have been an FOA I have been proud to make the office a comfortable and pleasant experience for our patients. Providing excellent customer service is a high priority at the Brighton, Michigan location.